iPhone X Plus Release Date: Will Apple Unveil It On September 12? We know that Apple is going to unveil three new iPhones – a giant 6.5-inch OLED iPhone X Plus, a 5.8-inch iPhone X2, and a budget-friendly LCD iPhone – next month. But when is the exact iPhone X Plus release date? Apple hasn’t sent out press invites for its iPhone launch event yet, but the new iPhone launch has become an annual ritual. So, we have a fair idea of when it is coming out. Cnet contributor Lynn La used statistical analysis and historical patterns to predict that September 12 will be the iPhone X Plus release date. She seems pretty confident about it. The first few iPhones were launched in June. But Apple shifted to September release cycle with the iPhone 5 in 2012. Since then, every new iPhone has been announced in September except the low-cost iPhone SE, which was aimed at emerging markets. 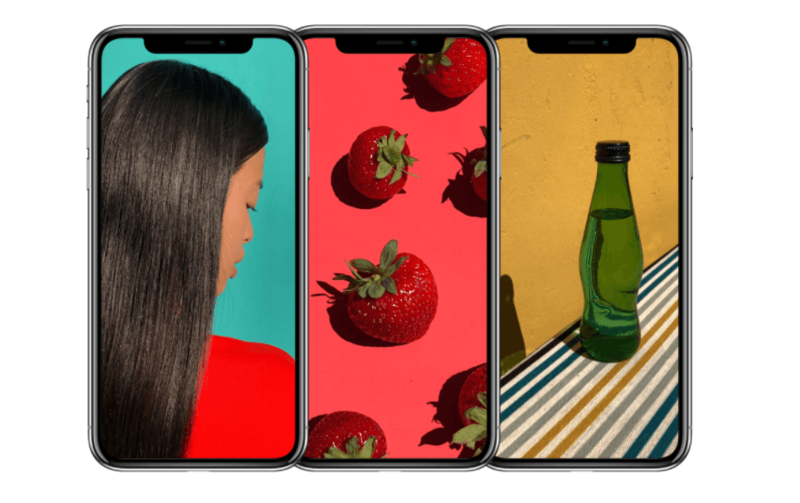 Lynn La examined the dates Apple chose for launching iPhones over the last few years, studied the pattern and concluded that the iPhone X Plus release date would be September 12. Since 2012, new iPhone announcements have taken place on a Tuesday or Wednesday in the first half of September. It gives us four possible dates for the iPhone X Plus release date: Sept.4 (Tuesday), Sept.5 (Wednesday), Sept.11 (Tuesday), and Sept.12 (Wednesday). La also found a correlation between Labor Day and iPhone announcements. When Labor Day falls on Sept.3 or earlier, the iPhones are announced in the following week. But when Labor Day occurs on Sept.5 or later, the new iPhones are announced two days after Labor Day (as it happened in 2015 and 2016). This year, the Labor Day holiday is on Monday, Sept.3. So, the iPhone X Plus, iPhone X2, and LCD iPhone should be announced on Tuesday or Wednesday of the following week. It gives us two possible dates: Sept.11 and Sept.12. Apple is unlikely to unveil new iPhones on Sept.11 (the anniversary of 9/11 attacks). So, the only date we have left is September 12. There you have it. The iPhone X Plus release date. I appreciate the depth and clarity of Lynn La’s thought process. Separately, Maxim Group analyst Nehal Choksi told CNBC that he expects Apple to launch new iPhones in “late September.” Reliable Twitter tipster Ice Universe has shared potential release dates of smartphones coming later this year, and it points to “mid-September” iPhone X Plus release date. If Apple indeed ends up unveiling the new iPhones on September 12th, sales should begin on Friday of the following week, which is September 21. Last year’s iPhone 8 and 8 Plus debuted on September 12 and went on sale on September 22nd. However, the iPhone X didn’t hit the store shelves until November 3rd due to production issues. This year too, the LCD iPhone could be delayed by a few weeks, according to Morgan Stanley analyst Katy Huberty. Huberty has learned from supply chain sources that the LCD iPhone was facing issues with “LED backlight leakage,” which could delay its launch by four weeks. Apple and its suppliers have resolved the issue, but the device entered mass production four weeks later than usual, leading to the potential delay. The other two models would launch without any delay, said the Morgan Stanley analyst. Multiple leaks have shown that all the three models would look like iPhone X. They will have a nearly bezel-less display with a top cutout to accommodate the Face ID sensors, front camera, and the ear speaker. They will all be powered by Apple’s custom A12 processor built by TSMC using its 7nm manufacturing process, which should lead to better performance and energy efficiency. All the upcoming iPhones will use Intel’s LTE modems as Apple has ditched Qualcomm entirely. Qualcomm modems are significantly faster than their Intel counterparts. But Qualcomm CFO George Davis recently told investors that Apple had decided to “solely use our competitor’s modems.” Apple and Qualcomm are locked in a fierce and messy legal battle over patent infringements and royalty payments. But that’s where the similarities end. The LCD iPhone will be much more affordable than the OLED models, so it will make a lot of compromises. For instance, it will get only a single camera on the back compared to dual cameras on the iPhone X Plus and iPhone X2. The LCD model would also pack only 3GB RAM compared to 4GB in the other two models. Apple is also removing the 3D Touch functionality from the LCD iPhone to keep its costs down. TF International Securities analyst Ming-Chi Kuo predicts Apple will launch the LCD iPhone in single-SIM and dual-SIM variants. The dual-SIM model will be sold only in select markets. References to the dual-SIM support were also discovered earlier this week in the iOS 12 developer beta 5. Dual-SIM smartphones are particularly popular in emerging countries such as China, India, Brazil, and Egypt. Apple is unlikely to sell it in the US due to opposition from wireless carriers.